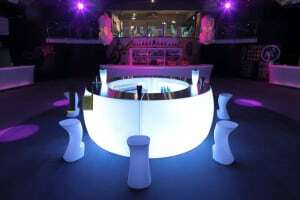 Inside Outside Marquee Hire was founded in 1980 with the aim of providing top quality marquees and exceptional service. 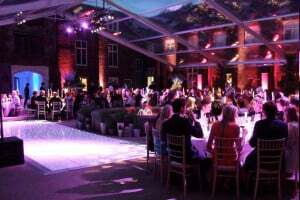 We are very pleased to have earned a reputation for supplying beautifully crafted, fully serviced marquees evidenced by our happy customers and successful events – and work hard to maintain our high standards. 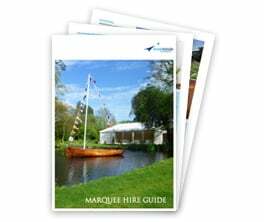 It began with little more than a sewing machine and a roof rack and grew steadily, by demand, into a mature company capable of delivering highly complex corporate marquee solutions or, equally important, marquees for wedding receptions and parties for private individuals. 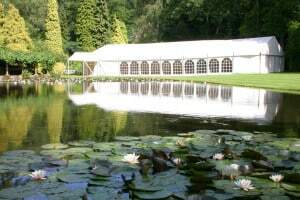 We now have a fleet of lorries to service our marquee operation, yet we maintain our original attention to detail and quality and each marquee is still cleaned by hand on return to our warehouses in Bookham, near Leatherhead, Surrey. We are all very proud of our achievements and motivated by a huge catalogue of thank you letters and recommendation testimonials, some of which you can see here.